Edict (sacrifice) effects are much worse in Limited than Constructed. Your opponent will be playing more creatures, and specifically more bad ones, making this a lot less effective. 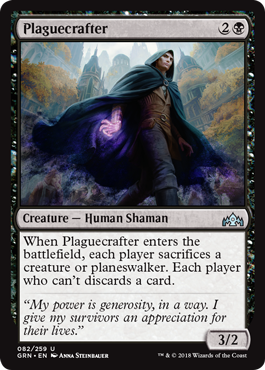 It’s cute that it can make them discard a card, and eating planeswalkers will definitely have Constructed implications, but for Limited I’d consider this a marginal playable more than anything exciting.